Property Location With a stay at Baymont Inn & Suites Odessa in Odessa, you&apos;ll be close to Presidential Museum and Leadership Library and Ellen Noel Art Museum. 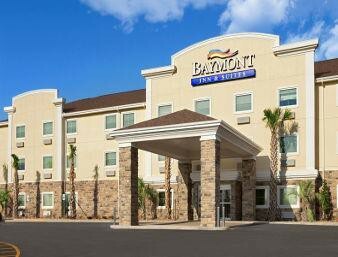 This hotel is within the vicinity of Ratliff Stadium and Parker House Museum.Rooms Make yourself at home in one of the air-conditioned rooms featuring refrigerators and microwaves. 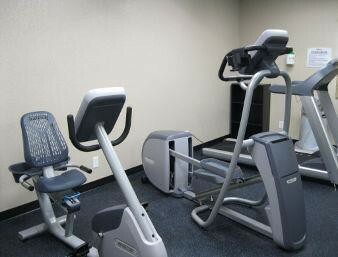 Flat-screen televisions along with iPod docking stations are provided for your entertainment. Private bathrooms with separate bathtubs and showers feature hair dryers and hair dryers. Conveniences include coffee/tea makers and irons/ironing boards, as well as phones with free local calls.Rec, Spa, Premium Amenities Enjoy the recreation opportunities such as a fitness center or make use of other amenities including complimentary wireless Internet access.Dining A complimentary hot/cold buffet breakfast is included.Business, Other Amenities Featured amenities include a computer station, a 24-hour front desk, and laundry facilities. Free self parking is available onsite.